Egypt is targeting a budget deficit of around 11 per cent for the fiscal year that began in July and aims to boost economic growth to 5-6 per cent within three years, Finance Minister Hani Dimian told a conference on Tuesday. Political turmoil since the 2011 uprising that ousted Hosni Mubarak has hurt Egypt's economy and hit investor confidence. The government is now walking a fine line between trying to cut its deficit whilst luring investors and restoring growth. Dimian said last week that Egypt's gross domestic product (GDP) grew 3.5 per cent in the fourth quarter of fiscal 2013/14, suggesting the economy is finally recovering from the turmoil. He had told Reuters in July that Egypt was targeting growth of 4 to 5.8 per cent over the next three years. 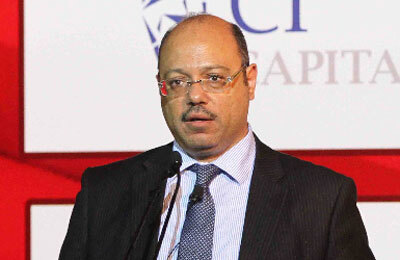 Egypt's economy expanded 2.1 per cent in fiscal 2012/13. The most populous Arab country is seeking to keep its deficit in check, at around 10 per cent of output over the next three years. It has received billions of dollars in grants, loans and petroleum products from Saudi Arabia, the United Arab Emirates and Kuwait since former army chief Sisi overthrew President Mohamed Mursi in July following protests against his rule. The aid has proven to be a lifeline for Egypt's economy but the government is also seeking to make long-awaited reforms. Egypt introduced painful cuts in July, slashing energy subsidies by 40 billion Egyptian pounds ($5.6 billion) which has led to steep rises in the price of fuel and electricity.